Part 1: Where am I? When you go to investigate them further, one speaks to you! 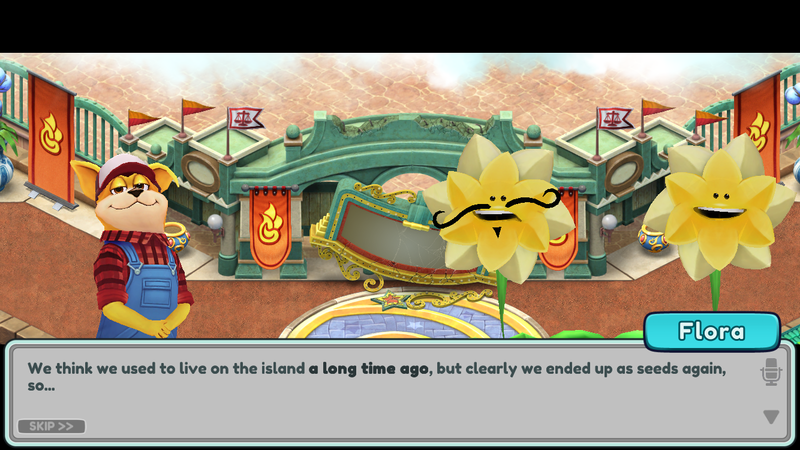 After a while, you gather that their names are Franky and Lady Flora – they’re apparently the protectors of the island. Trying to make your new flower guests feel more comfortable, you decide to grow other plants. However, when the time comes, Franky insists that there “isn’t time” and conjures new flowers himself using some magical powers. Freaky. 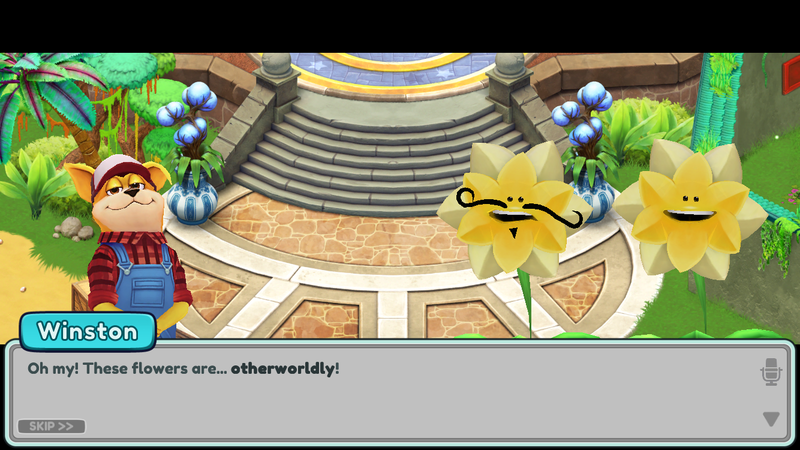 These new flowers aren’t able to speak like Franky and Lady Flora though. Now that Franky and Lady Flora are surrounded by their own, Winston thinks it’s the perfect time to get down to the bottom of things. First of all, it turns out that the flowers’ full names are Francisco and Flora. They think they used to live on the island a long time ago, but somehow they ended up as seeds again. Outside of that, they really don’t remember much else. Winston thinks it’s time you update Elias on the situation. Elias is surprised to hear that you can talk to plants too, but his focus quickly shifts to that gator he mentioned earlier. 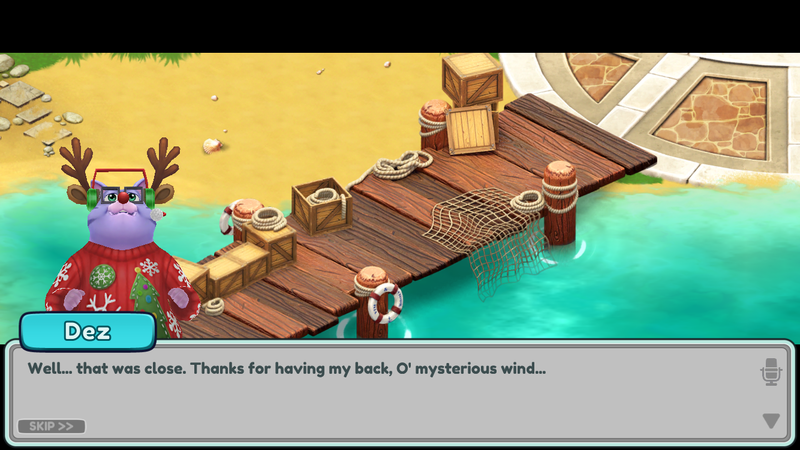 Apparently, the island’s newest guest will be here any minute! You need to get to the Food Court, pronto! One small … errr … big problem though – the Food Court is still blocked by a huge sign. Luckily, Winston remembers that Harper used a pulley to lift the globe awhile back. If you could find those pulley parts, you could lift that sign. Using the pulley parts, you’re able to construct a semi-sturdy pulley. You enlist Adonis to be the pulley’s muscle, but it’s actually Amanda who accidentally lifts the sign into place. After fixing it up and giving the theme park a name, you’re ready to enter the Food Court! But wait … those mysterious pages that came out of the pulley box have returned. Dez seems worried, but Winston thinks you should read them before they blow off again. 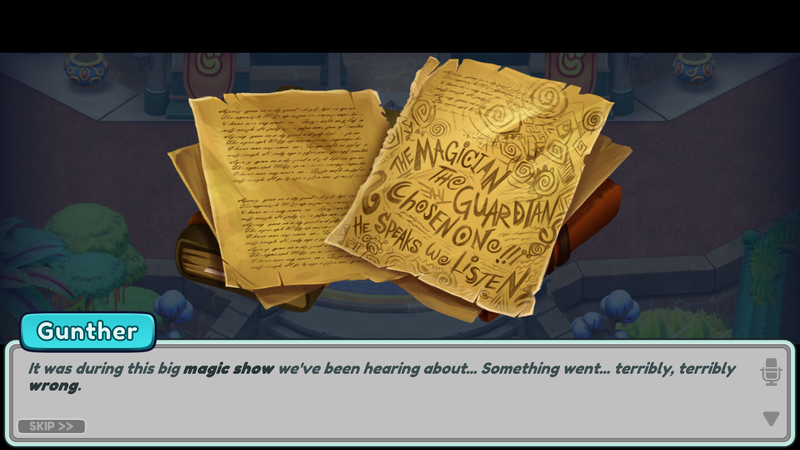 Upon closer inspection, the pages seem to be from the old groundskeeper’s journal. Winston questions Dez about how they ended up all the way over here, but Dez denies any wrongdoing. He just says that it was “windy” the day he pieced the journal together. You notice the writing stops suddenly. That’s definitely concerning. There’s also this weird scribbling on another page … and it doesn’t look like the groundskeeper’s handwriting. “The magician … the guardian … the chosen one! He speaks, we listen!” Hmm. Winston asks Francisco and Flora if the words in the journal mean anything to them, but they say no. 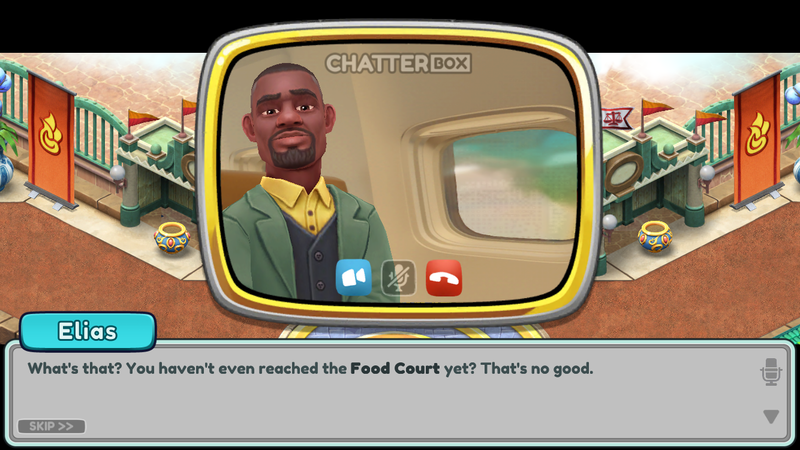 Much to Dez’s dismay, Winston still wants to press on to the Food Court despite this chilling development. 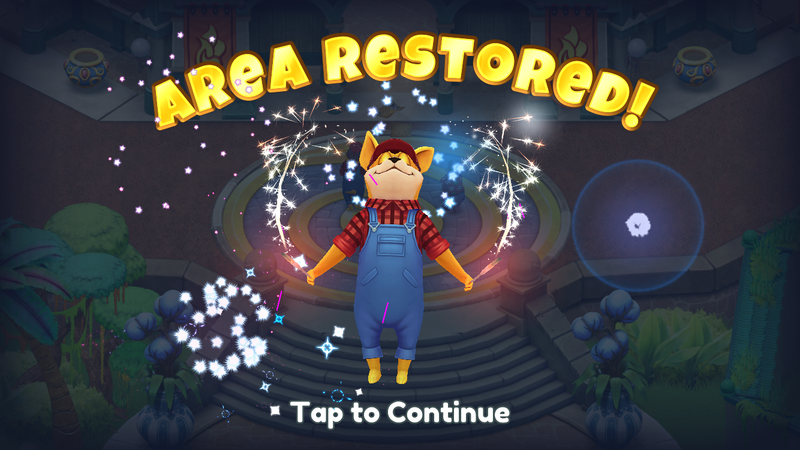 What could have happened to the groundskeeper?